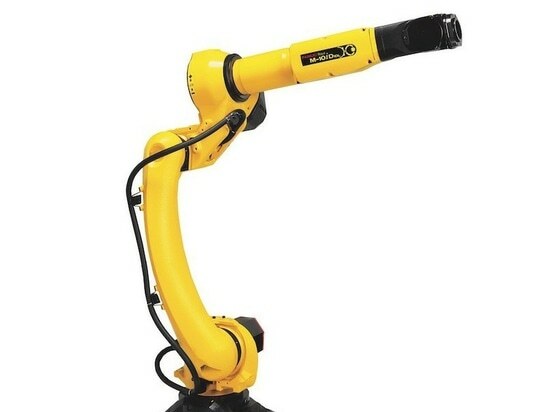 The M10iD/10L is the latest model from the M-10 robot series. It comes complete with a long arm to provide an extended reach of up to 1636mm, allied to the handling of larger workpieces with a maximum payload of up to 10kg. With a footprint of just 343m x 343mm, the M10iD/10L is perfectly suited to compact production line installations and is fully articulated to reach narrow spaces in machine tools or jigs. As with other models in the M-10 series, the M10iD/10L also benefits from a hollow arm, wrist and body, which facilitate the easy routing of internal cables. 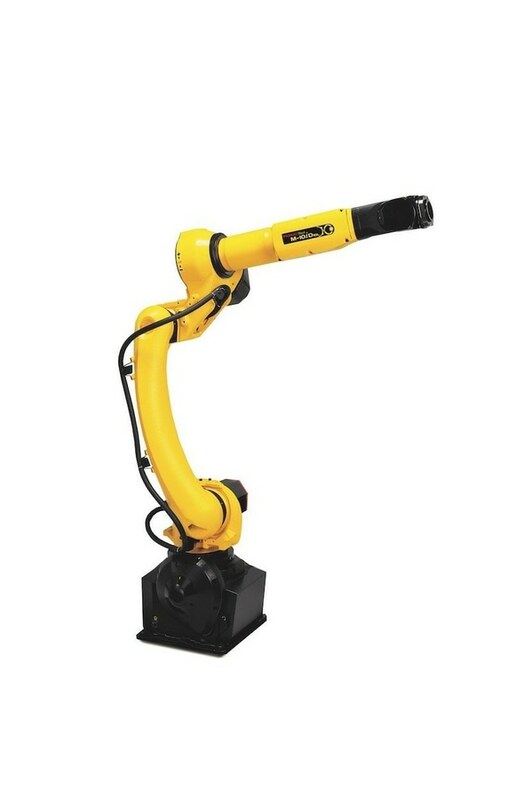 Not only does this make the robot straightforward to integrate and modify, but – coupled with a slim J2 curved arm – it also reduces any interference with peripheral devices and work cell equipment. The 6-axis device has one of the highest axes speed in its class, with a maximum speed of 720°/sec, and a repeatability of ±0.03mm. The M10iD/10L also facilitates intelligent maintenance schedules thanks to the Zero Down Time condition monitoring software, which is able to predict the status of mechanical and process equipment.